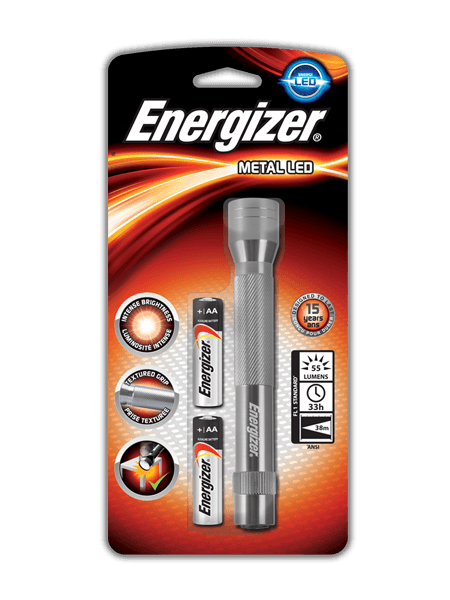 Bright and durable, this EVEREADY® Metal LED Flashlight is a trusted choice for household and work needs. Featuring a sturdy metal construction and today’s LED technology, this ergonomic solution also shines up to 4X brighter than standard LED technology. It provides hours and hours of clear, uniform light for a wide variety of household and work tasks.